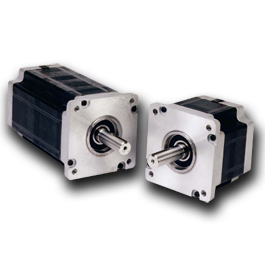 These stepper motors provide the highest torque in a wide range of frame sizes. For many applications, these motors offer a high-performance, cost-effective alternative to pneumatic, hydraulic and servo motor systems. The KM Series of high-torque NEMA 23, 34 and 42 (60, 90 and 110 mm) stepper motors offers a wide range of models to suit most stepper applications. These motors provide an excellent, cost-effective alternative to pneumatic, hydraulic and servo motor systems. The MH172 Series provides a high-torque motor in a NEMA 66 frame size (170mm) with maximum holding torque of 5,330 oz-in (3,764 N-cm). The T Series provides a set of custom T2 Series and N Series stepper motors integrated with Kollmorgen electric cylinders, rodless actuators and precision stages. 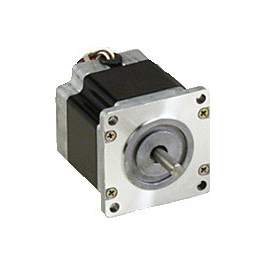 These motors provide a range of compatibility with Kollmorgen's P7000 Series stepper drives. 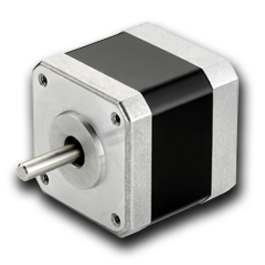 The T2 Series delivers high torque in a NEMA Size 23 (60 mm) stepper motor, with holding torques up to 421 oz-in (3.0 N-m). They are available with open leads or a terminal box.